During the course of the Pacific war, the historical record shows that all military attacks against Japanese Formosa and the Pescadores, and indeed against the four main Japanese islands, were conducted by United States military forces. It is very significant that the Republic of China military forces did not participate. According to the precedent established in the Mexican American War, the Spanish American War, etc., after the end of hostilities, the United States will be the (principal) occupying power of these areas. In early August 1945, the United States dropped two atomic bombs on Japan, and the Japanese surrendered on August 15th. US troops were in Formosa soon after, and on September 1st, US naval vessels arrived to arrange for the transport of 1,000 US prisoners of war to Manila. On September 2nd, General Douglas MacArthur directed the senior Japanese commanders and all ground, sea, air and auxiliary forces within Formosa to surrender to Chiang Kai-shek (CKS). The ROC military forces accepted the surrender of Japanese troops on October 25, 1945, in Taipei. The ROC officials immediately announced this occasion as "Taiwan Retrocession Day," however such an announcement is a violation of the laws of war. It is extremely regrettable that the United States government made no efforts to correct this error at the time. This was the first major mistake by the USA in the handling of Taiwanese affairs in the post-war period. According to the Hague Conventions of 1907, the date of October 25, 1945 can only be interpreted as the beginning of the military occupation of Taiwan. Military occupation is conducted under "military government," and the United States has delegated the military occupation of Taiwan to the ROC. United States Military Government (USMG) in Taiwan has begun as of October 25, 1945. In January of 1946, the ROC government announced mass naturalization of native persons in Taiwan as "ROC citizens." Additionally, some Taiwanese males were conscripted to fight in the Chinese civil war. (More formal military conscription laws over Taiwanese males were put into effect several years later.) Such unilateral announcements regarding naturalization and military conscription over persons in occupied territory are violations of the laws of war. 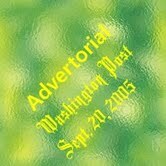 It is extremely regrettable that the United States government made no efforts to correct these errors at the time. These were the second and third major mistakes by the USA in the handling of Taiwanese affairs in the post-war period. In late 1949, with a civil war raging in Mainland China, additional military forces and government officials of the ROC fled to Taiwan. As of early 1950, the ROC government in Taiwan is "wearing two hats" -- it is a subordinate occupying power (beginning October 25, 1945), exercising "effective territorial control" over Taiwan, and at the same time it is a government-in-exile (beginning December 1949). Decisions regarding the transfer of the sovereignty of Taiwan will be made in the post-war peace treaty, hence in early 1950 the ROC is clearly not in possession of the sovereignty of Taiwan. Japan recognizes the validity of dispositions of property of Japan and Japanese nationals made by or pursuant to the directives of the United States Military Government in any of the areas referred to in Articles 2 and 3. As we know, the ROC is the legal government of "China" as spoken of in WWII. However, the ROC failed to maintain its legal position when it fled to Taiwan in late 1949. As of late April 1952, with the coming into force of the SFPT, the ROC is not the legally recognized government of Taiwan; it is merely a subordinate occupying power and government in exile. With this recognition, an analysis of Taiwan's position under international law and US Constitutional law from late April 1952 up to the present day can proceed very straightforwardly. An examination of the situation of Puerto Rico and Cuba after the Spanish American War provides the necessary legal background. The Hague Conventions of 1907 specify that "territory is considered occupied when it is actually placed under the authority of the hostile army." The form of administration by which an occupying power exercises government authority over occupied territory is called "military government." The military government of the principal occupying power does not end with the coming into force of the peace treaty, but continues until legally supplanted. United States Military Government in Puerto Rico began on August 12, 1898, with the surrender of Spanish troops. The United States was the (principal) occupying power. The Treaty of Paris came into force on April 11, 1899, and Puerto Rico was ceded to the United States in Article 2. In Downes v. Bidwell (1901), the US Supreme Court ruled that upon cession by Spain, under US law Puerto Rico became "unincorporated territory." However, the Foraker Act, which was passed by the US Congress to provide a civil government for Puerto Rico (and supplant USMG), only came into effect on May 1, 1900. Hence, from April 11, 1899 to May 1, 1900, Puerto Rico is clearly "unincorporated territory under USMG." United States Military Government in Cuba began on July 17, 1898, with the surrender of Spanish troops. The United States was the (principal) occupying power. The Treaty of Paris came into force on April 11, 1899, and Cuba was a limbo cession in Article 1. However, the Republic of Cuba government, established to provide a civil government for Cuba (and supplant USMG), only began operations on May 20, 1902. Based on the rulings in Downes v. Bidwell (1901) and Neely v. Henkel (1901) it is clear that upon the coming into force of the peace treaty, Cuba became "unincorporated territory under USMG." Indeed, the United States flag flew over Cuba from July 17, 1898, until the formal end of USMG in Cuba was proclaimed by the US President on May 20, 1902. United States Military Government in Taiwan began on October 25, 1945, with the surrender of Japanese troops. The United States is the principal occupying power. 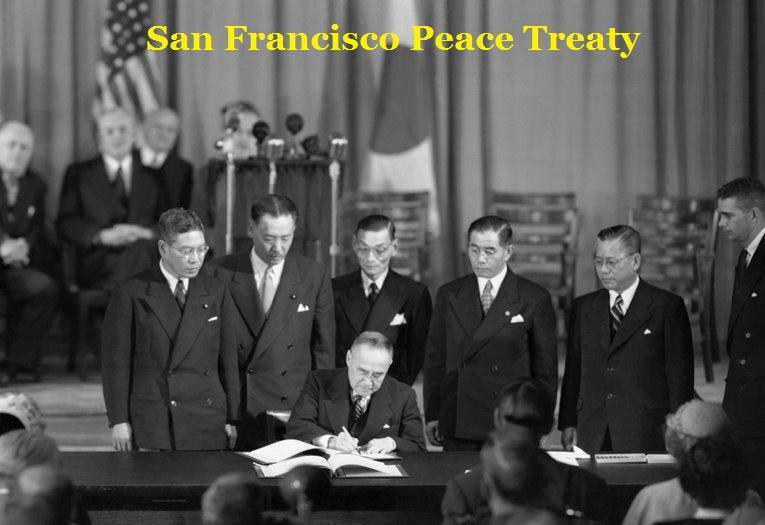 The San Francisco Peace Treaty came into force on April 28, 1952, and Taiwan was a limbo cession in Article 2b. [Footnote 2] Based on the rulings in Downes v. Bidwell (1901) and Neely v. Henkel (1901) it is clear that upon the coming into force of the peace treaty, Taiwan has become "unincorporated territory under USMG." As of late April 1952 (if not earlier), the United States flag should be flying over Taiwan. [Footnote 3] To date, there has been no announcement by the US President of the formal end of USMG in Taiwan, nor the supplanting of USMG by any other United States approved civil government operations. In the Insular Cases (beginning 1901) the US Supreme Court held that even without any actions by the US Congress, "fundamental rights" under the US Constitution apply in all unincorporated territories. However, with no action by the US Commander in Chief, what we have seen in Taiwan from late April 1952 to the present is something completely different. Specifically, the Taiwanese people have been forced to accept ROC citizenship without any internationally recognized legal basis, and males are subject to military conscription in violation of the Geneva Conventions. The Taiwanese people are living under the ROC Constitution, and in their daily lives they are singing the ROC national anthem, raising the ROC flag, and recognizing an ROC national father. The ROC on Taiwan is a non-state, but the ROC constitutional structure in force specifies that insurrection or rebellion against the ROC is punishable by death or lengthy imprisonment!! Hence, as of late Spring, 1952, in order to conform to the provisions of the Senate-ratified SFPT, and to support and defend the Constitution of the United States against all enemies, foreign and domestic, the US Commander in Chief must issue an Executive Order for the Republic of China government on Taiwan to disband. The US government must help the Taiwanese people organize a temporary government (with a new President, Vice-President, and other top officials), and begin preparations for the calling of a Constitutional Convention. 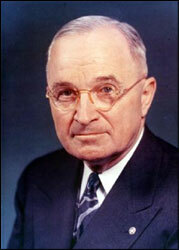 The myriad mistakes by the USA in the handling of Taiwanese affairs in the post-war period are extremely regrettable. With the coming into force of the SFPT in 1952, a clear basis for the future development of Japan was established. However, the situation of Taiwan was a total mess. We do not dispute the One China Policy, but at the same time it must be recognized that Taiwan is Taiwan and China is China. The United States acknowledges that all Chinese on either side of the Taiwan Strait maintain there is but one China and that Taiwan is a part of China. The United States Government does not challenge that position. It reaffirms its interest in a peaceful settlement of the Taiwan question by the Chinese themselves. With this prospect in mind, it affirms the ultimate objective of the withdrawal of all US forces and military installations from Taiwan. Some have argued that this is a very convoluted way of saying that "Although Taiwan is not a part of China, we want everyone to think that it is." This is certainly worthy of further examination. That the Commander in Chief has the right to make "dispositions of the property of Japan," in accordance with SFPT Article 4b, we do not challenge. However, we do maintain having done no prior consultation with the Taiwanese people, making a decision to put Taiwan on a "flight-path" for eventual unification with the PRC does violate the rights of the Taiwanese people to life, liberty, property, and due process of law under the Fifth Amendment. These Fifth Amendment protections are "fundamental rights" under the US Constitution, and apply in overseas territories even without any actions by the US Congress. The State Department informed the Senate in 1970 that "As Taiwan and the Pescadores are not covered by any existing international disposition, sovereignty over the area is an unsettled question subject to future international resolution." This statement was repeated in a "Subject: Legal Status of Taiwan" Memorandum from the Department of State Legal Advisor on July 13, 1971, [Footnote 4] and has been often repeated since. Is this willful ignorance of the truth . . . . . or some type of politically motivated cover-up? Might it indicate collusion with the China lobby, funded by Generalissimo and Madame Chiang Kai-shek? Or is it simple negligence? We believe that after reading this entire essay, all members of the public will understand why the "ROC on Taiwan" is not an internationally recognized government, while at the same time the Taiwan Relations Act is a domestic law of the United States. Moreover they will understand why when tensions flared between the PRC and Taiwan 1996, the US Commander in Chief sent two aircraft carriers into the Taiwan Strait without any previous consultation with the Taiwan governing authorities. Significantly, the "ROC on Taiwan" has been unable to obtain admittance to the United Nations, and has been refused membership in such important international bodies as the World Health Organization. [Footnote 5] Why is this? On October 25, 2004, in a press conference in Beijing, former Secretary of State Powell stated: "Taiwan is not independent. It does not enjoy sovereignty as a nation, and that remains our policy, our firm policy." We agree with Mr. Powell's statement entirely. * Suspension of the operations of the ROC Ministry of National Defense. The US Constitution states that Congress will provide for the common defense. None of the pre-existing five major unincorporated territories (Guam, Northern Mariana Islands, American Samoa, Puerto Rico, and the US Virgin Islands) have their own Ministry of National Defense, or have they instituted military conscription laws over their local populace. All defense matters for the fifty states and territories under US administrative authority are handled by the Department of Defense in the Pentagon. * Authorization for the US Department of Defense to assume full responsibility for the defense of Taiwan, and to increase the deployment of military equipment and personnel in the western Pacific in order to protect United States' interests. * Suspension of the operations of the ROC Ministry of Foreign Affairs. All diplomatic and consular matters for the fifty states and territories under US administrative authority are handled by the Department of State. * Establishment of the "United States Court of Taiwan." Under the US Constitution, this would be an Article II Court, and would serve to protect the rights of US citizens in Taiwan and deal with other important matters regarding US administrative authority over Taiwan. The issue of whether this Court or a separate tribunal would deal with the alleged war crimes perpetrated by ROC government officials could be decided at a later date. * Authorization for the Taiwanese people to begin preparations for the calling of a Constitutional Convention, designing of a new flag, new seal, etc. * Authorization for the establishment of a timetable for the retirement of the current ROC President, Vice President, the heads of the Five Yuan, the Supreme Court justices, High Court justices, other top officials, etc. as well as US government assistance for the appointment of transitional Taiwanese government officers in these positions. * Authorization for the US Marines to raise the US flag over Taiwan. US Army Field Manual FM 27-10 "The Law of Land Warfare" is a compendium of the Hague Conventions, Geneva Conventions, Uniform Code of Military Justice, and other recognized "laws of war" precedent, customs, and norms governing the conduct of military operations on land. The first edition was published October 1, 1940. In Application of Yamashita (1946), the US Supreme Court held that: "FM 27-10 (1940) ..... states the principal offenses under the laws of war recognized by the United States." The US Constitution has placed no limit upon the war powers of the government, but they are regulated and limited by the laws of war. One of these powers is the right to institute military governments. In Ex Parte Milligan (1866), the US Supreme Court held that military government is to be "exercised in time of foreign war without the boundaries of the United States, or in time of rebellion and civil war within states or districts occupied by rebels treated as belligerents." For a territorial cession after war, the designation of a "receiving country" in the peace treaty merely indicates that that country is authorized by the international community to establish a civil government in the territory. Significantly, at the point of the coming into force of the peace treaty, and normally for some time thereafter, the occupied territory is still under the administration of the (principal) occupying power. This is explained and illustrated in many US Supreme Court cases including Cross v. Harrison (1853), Dooley v. U.S. (1901), DeLima v. Bidwell (1901), etc. It is important to note that Taiwan's status under USMG is not a final political status, but rather an "interim status" under the military government of the principal occupying power, i.e. the United States. 1. The law of agency is the body of legal rules and norms concerned with any principal - agent relationship, in which one person (or group) has legal authority to act for another. The law of agency is based on the Latin maxim "Qui facit per alium, facit per se," which means "he who acts through another is deemed in law to do it himself." Hugo Grotius spoke of agency in his treatise On the Law of War and Peace, written in 1625. In particular, see Book 2, Chapter XI, Sec. XII: "We are obliged to confirm the engagements made by others, acting in our name, if it is evident that they had special, or general instructions from us to do so. And in granting a commission with full powers to any one, it may so happen that we are bound by the conduct of that agent, even if he exceed the secret instructions which he has received. For he acts upon that ostensible authority, by which we are bound to ratify whatever he does, although we may have bound him to do nothing but according to his private instructions." 2. Article VI of the US Constitution provides that: "This Constitution, and the Laws of the United States which shall be made in Pursuance thereof; and all Treaties made, or which shall be made, under the Authority of the United States, shall be the supreme Law of the Land . . . . . "
3. For a much more detailed analysis of the international legal status of Taiwan see Mr. Hartzell's article entitled "Understanding the San Francisco Peace Treaty's Disposition of Formosa and the Pescadores", in the Harvard Asia Quarterly, published Fall 2004 by the Harvard Asia Center, Cambridge, Massachusetts. 4. See Rethinking "One China", edited by John J. Tkacik, Jr., The Heritage Foundation, Washington, D.C., published 2004, Appendix C.
5. Importantly, the "ROC on Taiwan" was not admitted to the World Trade Organization as a country but as a "separate customs territory." The status of "separate customs territory" arises under military occupation. 6. The US Supreme Court has held that the "liberty" of the Fifth Amendment includes the right to travel, and that the right to travel includes the right to obtain a passport. Civil Government -- [in the practice of the United States] (1) administrative authority conducted by civilian officials in a government of territory (or a state) under constitutional powers of the US Congress, (2) a government as distinguished from "military government." Conquest -- the acquisition of territory by force. Fiduciary Relationship -- the relationship between a trustee, beneficiaries, and property held in trust. Government-in-exile -- a temporary government moved to or formed in a foreign land by exiles who hope to rule when their country is liberated. Irredentism -- claiming a right to territories belonging to another state on the grounds of common ethnicity and/or prior historical possession, actual or alleged. Law(s) of Occupation -- the subset of the Law(s) of War which deals with military occupation. Law(s) of War -- the body of laws governing armed conflict. In relation to the Taiwan status, the laws of war spoken of are "the customary laws of warfare in the post-Napoleonic period." Prescription -- (1) the process of acquiring title to property by reason of uninterrupted possession of specified duration, (2) acquisition of ownership or other real rights in movables or immovables by continuous, uninterrupted, peaceable, public, and unequivocal possession for a period of time. Property -- (1) something, as land and assets, legally possessed, (2) a piece of real estate, (3) something tangible or intangible to which its owner has legal title, (4) the right of ownership; title. Taiwan Strait -- a channel between mainland China and the island of Taiwan, varying in width between 180 km to 131 km (112 miles to 81 miles). The Taiwan Strait is part of the South China Sea and connects to the East China Sea to the northeast. "Undefined" Civil Rights -- "fundamental rights" under the US Constitution which are applicable in unincorporated territories even without any action by the US Congress. Unincorporated Territory -- (1) an area over which the US Constitution has not been expressly and fully extended by the US Congress within the meaning of Article IV, Section III, (2) insular law term for interim cessions and their basic constitutional rights under peace treaty; nexus of international and domestic laws. God bless America, Taiwan, and the whole world!